How do insurgents and governments select their targets? Which ideological discourses and organizational policies do they adopt to win civilian loyalties and control territory? Aysegul Aydin and Cem Emrence suggest that both insurgents and governments adopt a wide variety of coercive strategies in war environments. In Zones of Rebellion, they integrate Turkish-Ottoman history with social science theory to unveil the long-term policies that continue to inform the distribution of violence in Anatolia. 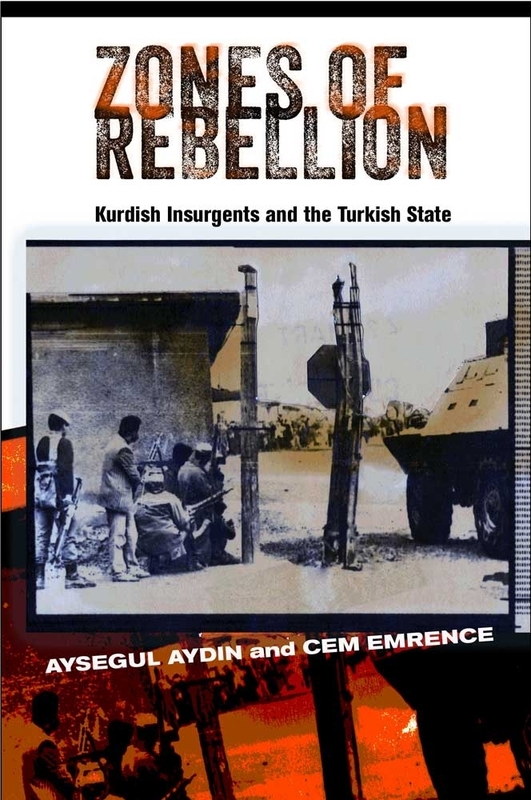 The authors show the astonishing similarity in combatants’ practices over time and their resulting inability to consolidate Kurdish people and territory around their respective political agendas. The Kurdish insurgency in Turkey is one of the longest-running civil wars in the Middle East. Zones of Rebellion demonstrates for the first time how violence in this conflict has varied geographically. Identifying distinct zones of violence, Aydin and Emrence show why Kurds and Kurdish territories have followed different political trajectories, guaranteeing continued strife between Kurdish insurgents and the Turkish state in an area where armed groups organized along ethnic lines have battled the central state since Ottoman times. Aydin and Emrence present the first empirical analysis of Kurdish insurgency, relying on original data. These new datasets include information on the location, method, timing, target, and outcome of more than ten thousand insurgent attacks and counterinsurgent operations between 1984 and 2008. Another data set registers civilian unrest in Kurdish urban centers for the same period, including nearly eight hundred incidents ranging from passive resistance to active challenges to Turkey’s security forces. The authors argue that both state agents and insurgents are locked into particular tactics in their conduct of civil war and that the inability of combatants to switch from violence to civic politics leads to a long-running stalemate. Such rigidity blocks negotiations and prevents battlefield victories from being translated into political solutions and lasting agreements.